In Howard Zinn’s one-person play, Karl Marx, the revolutionary socialist, comes back to earth to clear his name. 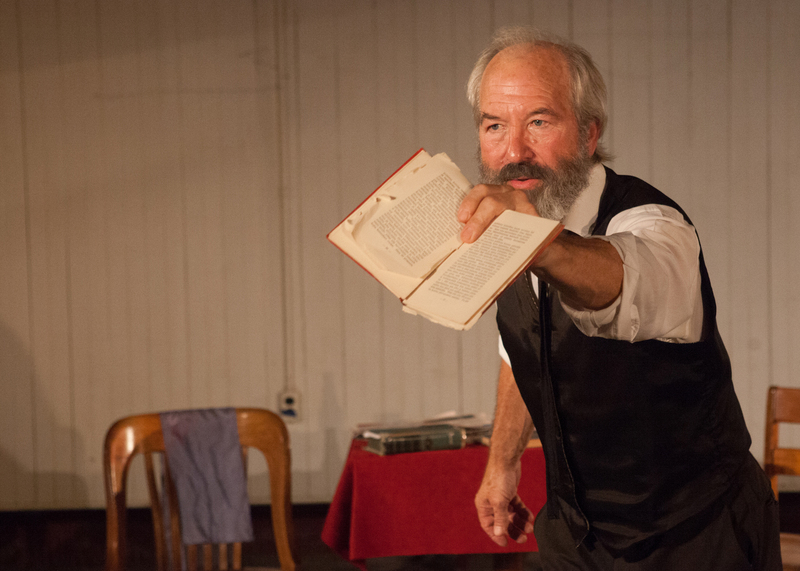 Performed by Bob Weick, Marx in Soho, is a freewheeling and entertaining show, and Weick delivers an impassioned performance that connects Marx to contemporary themes. The presentation is sponsored by the Clarke Forum for Contemporary Issues and co-sponsored by the departments of history, sociology, economics, American studies and the First Year Seminar program. 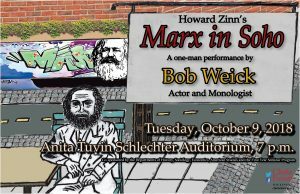 Bob Weick is the celebrated national touring actor of Howard Zinn’s Marx in Soho. A veteran stage actor in Philadelphia, he is a two-time Barrymore nominee with Iron Age Theatre (TERRA NOVA) and Theatre Horizon (CIRCLE MIRROR TRANSFORMATION). 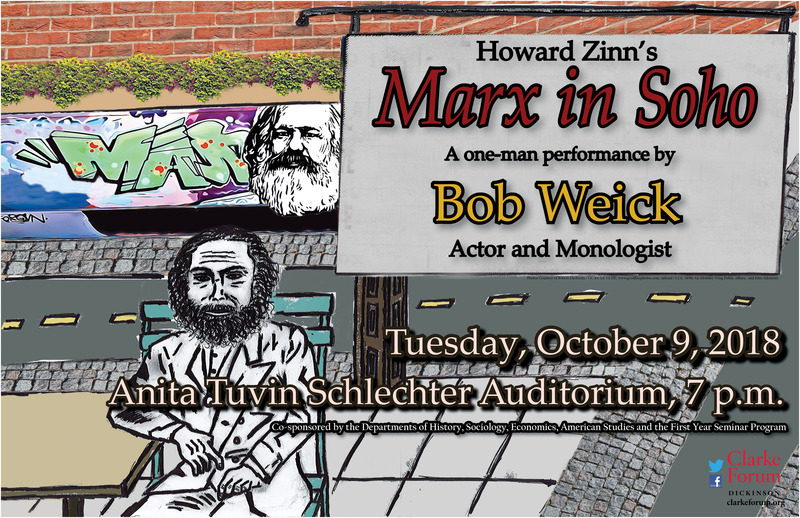 Weick’s friendship and working relationship with the late Howard Zinn began in 2004 with the critically acclaimed sold out Philadelphia premiere of Marx in Soho. Weick has gone on to perform the piece over 300 times across the country from Maine to California. Weick is a company member of Iron Age Theatre, where he collaborates with artistic director John Doyle as theatre activist and educator. Weick also serves the equine community as a farrier. Earlier this year, he presenting hoof care clinics in hurricane ravaged Vieques, while also performing the play for the beleaguered Island community.